It has been a few days that Microsoft has launched the update for Windows 8 i.e. Windows 8.1. All the users who are currently using Windows 8 will be able to upgrade to Windows 8.1 for free of cost. 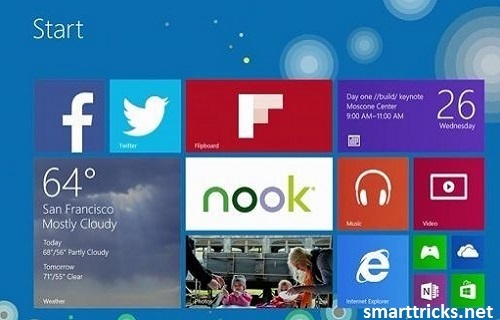 There have been a number of changes which were seen in Windows 8.1 with one being Addition of the popular Start button. Also Read : New Features in Windows 8.1: What makes it better? Facebook has officially launched the Facebook app for Windows 8.1 giving Windows 8.1 users an option to directly access Facebook from the Start Menu. This Facebook app is developed both for Windows 8.1 and Windows RT and comes with a great user interface. You don’t even need a web browser to access Facebook now. Just go to the Start menu and launch the Facebook app like you normally launch any other app. The interface of the Facebook app for Windows 8.1 is quite similar to the other apps developed byMicrosoft for Windows 8.1 as you get a sidebar at the left hand side which will come with tabs which will show you the notifications, news feeds, check ins etc. On the right hand side of your computer screen you will see all your online friends just like the way you see in Facebook if you are using a web browser to access it. In the center you will see all the status updates which are made by your friends, photos and videos shared by your friends and all the notifications made by the pages and groups which you have liked. This app is developed by Facebook and not by Microsoft. If you want to use Facebook on your Windows powered mobile phones you can download the Facebook app for Windows Mobile phones from the Windows store. Facebook has also started a beta testing program in which users can test the upcoming versions of Facebook app before the official launch and tell if there are any bugs present in the software. To download Facebook for Windows 8.1 visit the Windows Store and follow the instructions you get on your computer screen.